Eco friendly pest control has come into it’s own over the last decade and so has the use of bats and owls as an emerging solutions to curb the proliferation of insects and rodents alike. Owl boxes are an amazing solution to help slow the breeding process, providing a virtual all-you-can-eat buffet for these mystical winged carnivores. Owl Boxes, What Are They? Owl boxes are used to establish a nesting site in a tree or on a post to give the owl shelter and safety from the elements. Why should I consider an owl box on my property or around my community? A family of owls can consume over 3,000 rodents per year. MINIMIZE THE USE OF RODENTICIDES – they are having a negative impact on our non-targeting wildlife (feline species, canine species, raptors, fur bearing mammals, reptiles, & etc.) pertaining to illness & fatality. 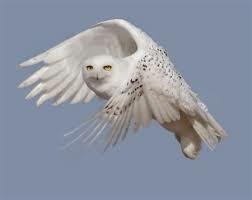 Owls are natures rodent control. Controlling population around our structures, properties & communities. An occupied owl box can be a more effective & economical method for rodent control. Is having an owl box on your property right for you? That is a great question and one we get often. Every situation and every property is different. It’s not a one-size-fits-all solution and should be determined by an expert.